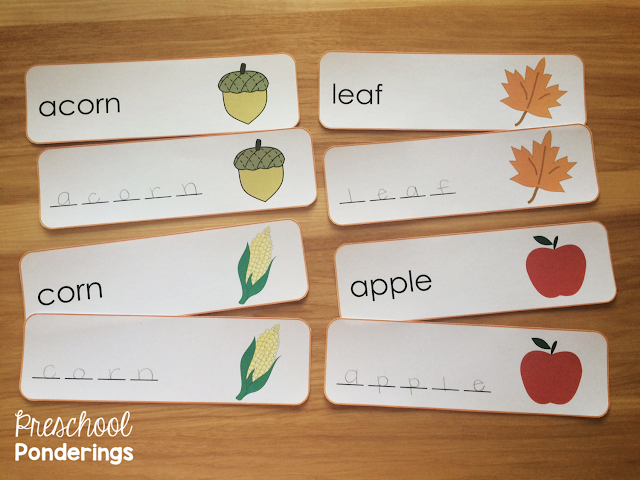 Autumn vocabulary cards- These are great for reinforcing the new vocabulary words that students are learning. 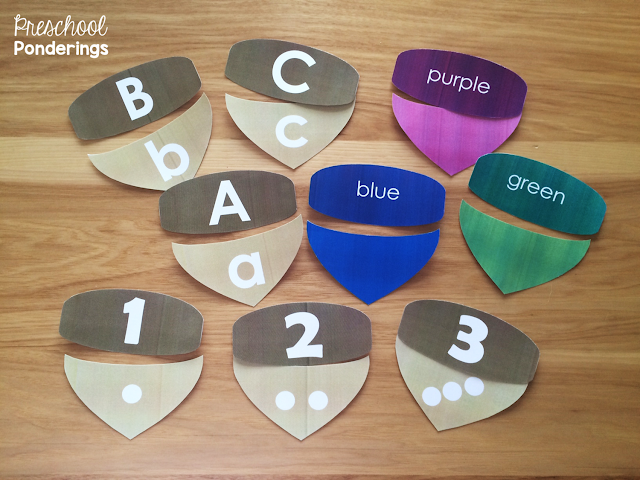 This set includes the words acorn, apple, leaf, corn, leaves, pumpkin, tree, orchard, squirrel, and turkey and are wonderful for a writing center. 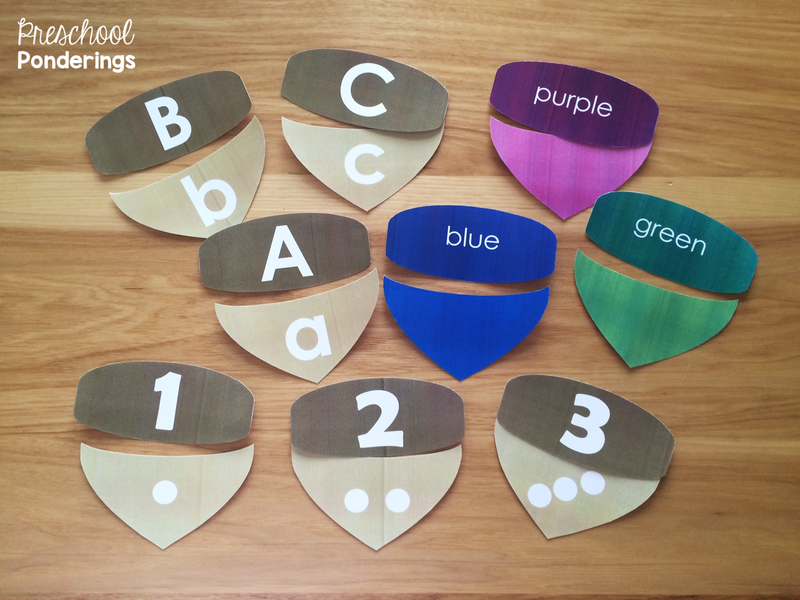 Acorn matching set - This set includes letter matching, number matching, and color matching, making it easy for children to understand what they are supposed to do with the pieces, even when they are included in different centers. 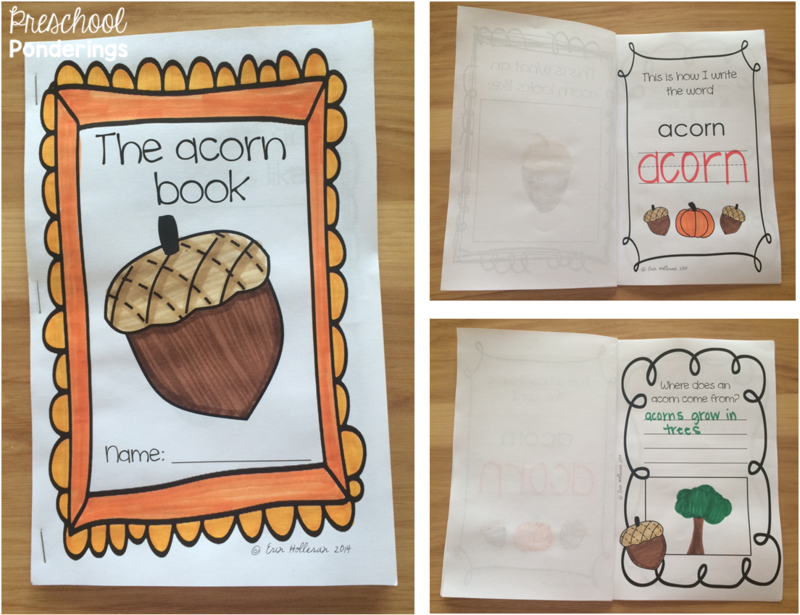 Autumn alphabet book - Another great way to help build autumn related vocabulary. 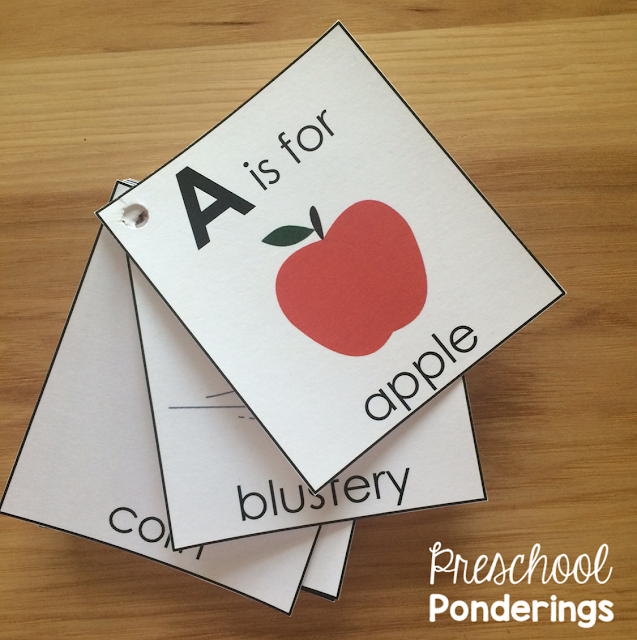 This printable book includes a different autumn themed word for each letter of the alphabet. These are a really fun way for children to explore autumn themes and alphabet sounds. Acorn books - Whether your students are telling you silly answers to write for them, or attempting to write their own factual answers, the opportunity to create their own books is a great way to motivate young writers. 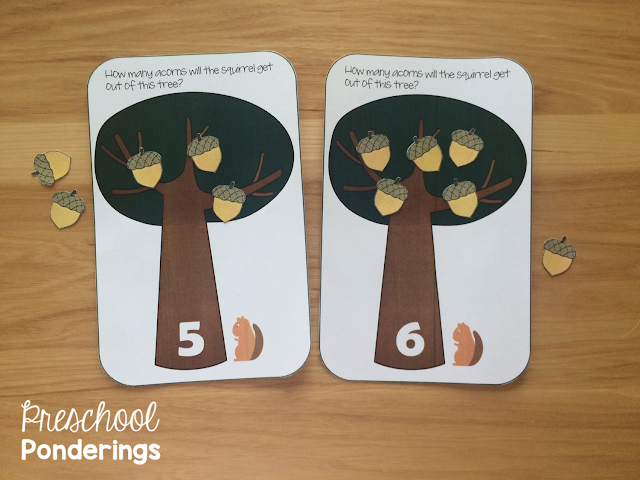 Acorn counting set - This activity asks students to count the correct number of acorns onto each tree. It also includes a basket mat so that children can help their squirrel collect acorns and do simple addition when collecting acorns from more than one tree. 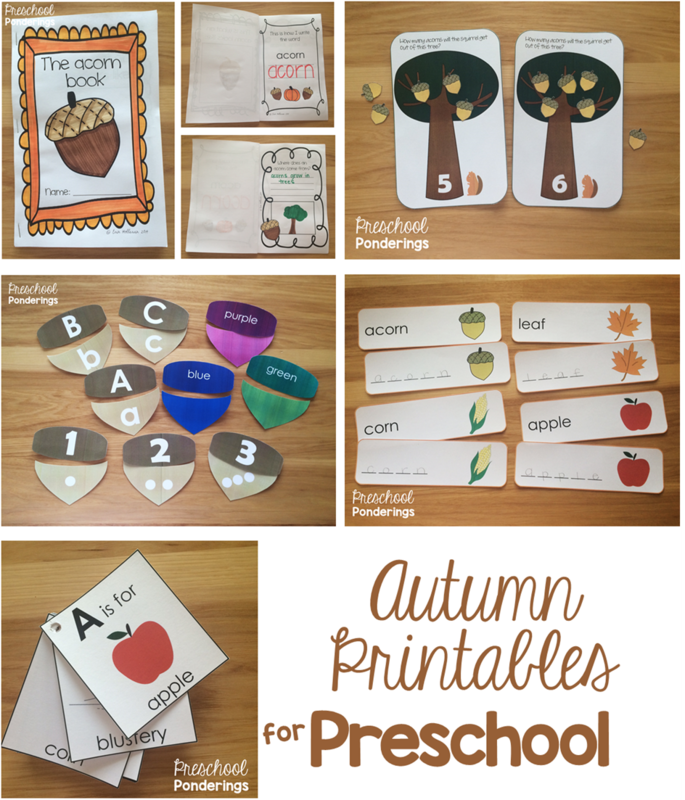 Please take a few minutes to check out my favorite autumn centers, and share yours in the comments! Informal assessments: What do your students know?